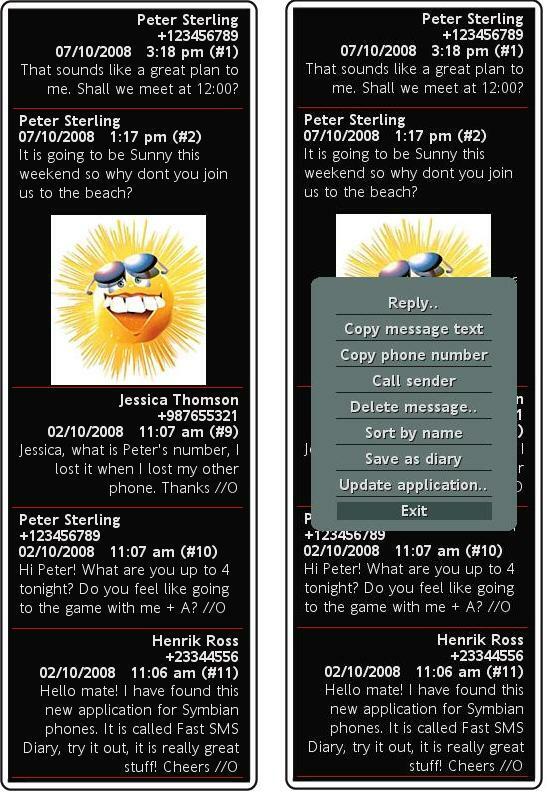 The SMS & MMS Diary application is undoubtedly the fastest message viewer in the world! Some people claims that iPhone has the fastest and best user interface for list boxes in mobile phones with the support for "flick-scroll" etc. 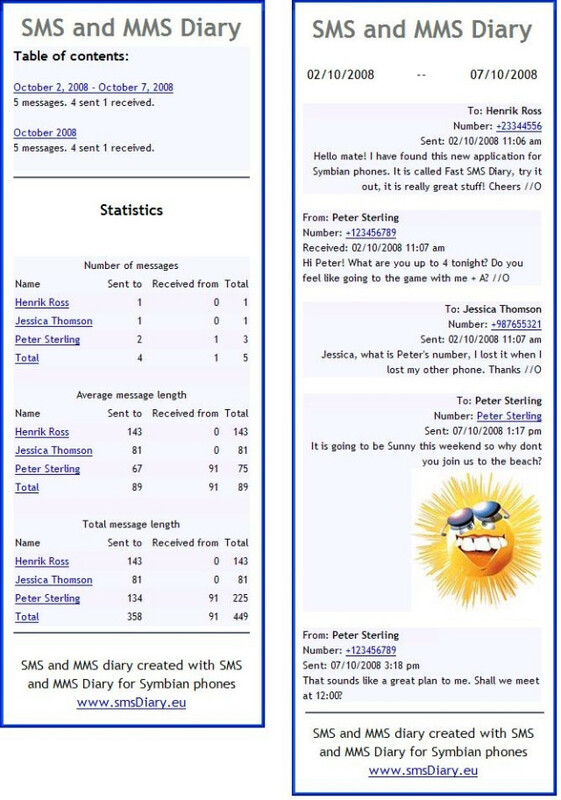 However, the SMS & MMS Diary program is even faster and better! As you will find when you try the program, the SMS & MMS Diary program can not only be used to create diaries from your messages. It can also be used to view your messages in a simple and extremely fast way (in your phone). Your messages are displayed in a "chat-like" way and hence it is very easy to follow your message conversations with your friends. Messages that you have sent are displayed right-aligned and messages that you have received are displayed left-aligned. Try it and compare with the speed and usability of your built in message viewer.